Focus: To help you define the look and feel of your fitness business using your brand voice and unique value proposition. By the end of this lesson you will understand how to create your company image and choose your company name so they represent the brand statement and re-enforce brand voice of your business. Branding includes everything about your business that is seen, heard or read by your audience. Making sure they all broadcast the same message is essential to build trust and make them feel they arrived to the right place. 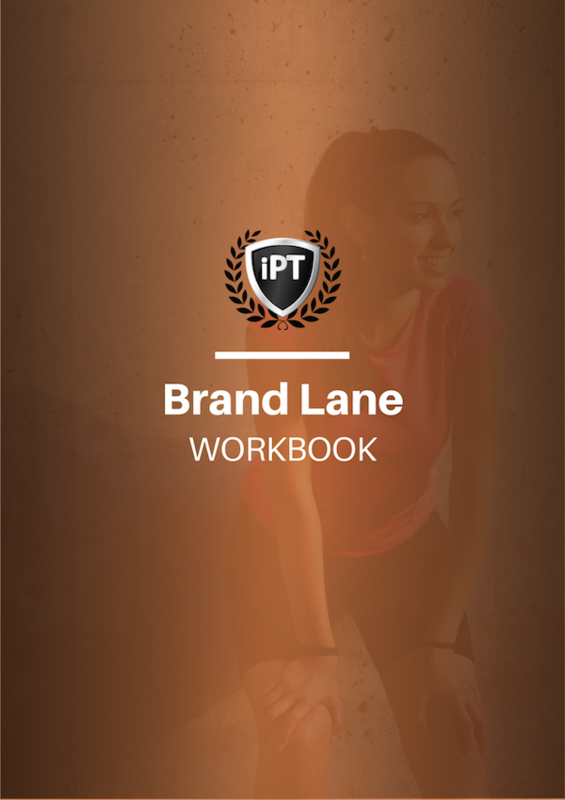 The look and feel of a fitness business is a common obstacle for most personal trainers and it doesn’t need to be. 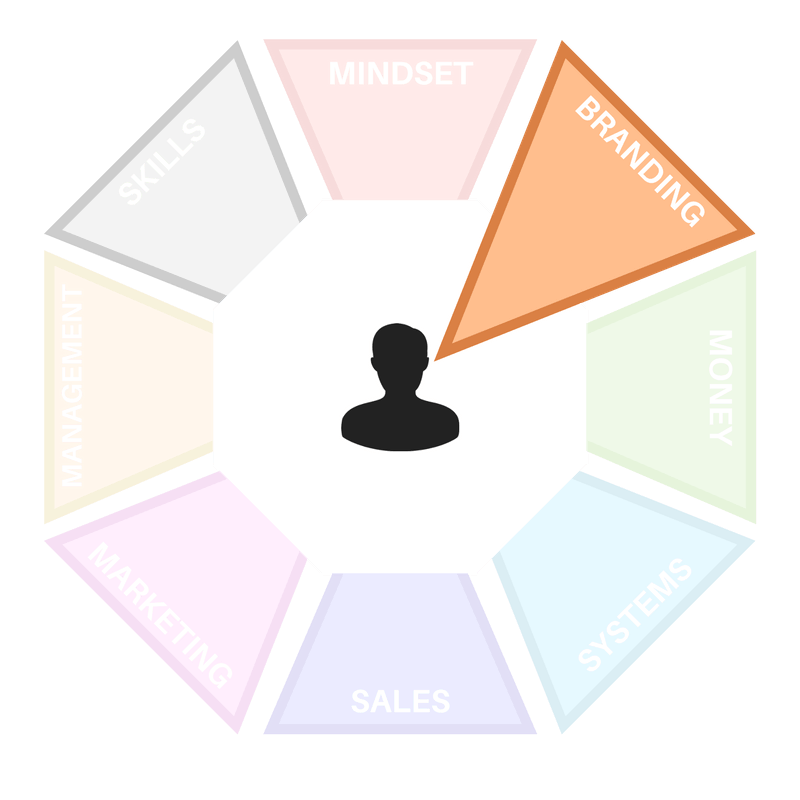 Now that you have a clearer picture of your brand voice and Unique Value Proposition, all we need to do is to transfer those qualities into shapes and colours. This will form the look and feel of your business experience. Is this really that important? Of course. The sensory experience your provide your clients, even your online clients, has an impact on how they feel about your and your company. The goal of building a brand design is to make your clients feel as though they are in the right place and that they would never want to do business with anyone else. Pretty shops, logos and colours won’t suffice here but luckily you’ve taken the time to discover your UVP and brand voice so you’re already one step ahead. Your company image is your client’s mental picture of your business and the emotional impressions they associate with it. It involves both conscious and unconscious logic and emotion that dictates how people perceive your business. To find out how other people see your business we can do a simple exercise. You may need to skip some questions if you’re an online trainer. If you’re a personal trainer who works in a larger chain gym, answer the questions anyway. Is it easy to see from the street? Does this create the experience that appeals to the clients you’re trying to attract? What do the colors say about the business? Do you feel taken care of? Do the staff seem to enjoy their job? Are they genuinely interested in the clients? Is the website easy to find with the popular search engines? How quickly does the site load? What colors and images appear on the homepage and how do they make you feel? How much text appears on the different types of pages? How well does the search function work? Will clients be able to find the information they need quickly? Are any of the graphics or animations distracting? How many steps does it take to get in touch? Does the site look just as good with different browsers and on different types of monitors? What does the site say about the business? Does the business deliver as promised? Does everything you see reflect the brand message? Now, does anything not stack up? Does anything feel not quite right? Addressing these issues now before they compound on one another could save you a lot of time, headaches and money. On page 7 of your Build a Brand Workbook you'll find all of the questions above listed next to a box. Use the box to add notes about any changes you might want to make to your business after challenging yourself with these questions. Your company name offers the first impression on your clients’ mind and can have a major impact on the the expectations they have about any future interactions with you. In an ideal world your company name would differentiate your from other similar businesses, be easily recognisable and promise emotional gratification that comes from working with you. Of course, the “feel” of your company name is built over a long period of time. The most common names used for personal training companies is the name of the owner. This has both positive and negative affects on the business, both of which should be considered. Using your own name in the business suggests the company is small and likely to stay small. But it can also promote the intimacy of your business that a lot of fitness businesses provide to their clients. It’s also worth considering if you plan to hire employees in the future as a lot of people only want to work with a reputable name. Shapes and colours, while subtle, do have a huge impact on how your business is perceived. Since no colour or shape is ideal, except under the rarest of circumstances, you must make decisions that represent an educated guess. If you are developing your own colours and shapes for your business, keep it simple. For anything beyond the basics, you should consult with a trained designer. Got to page 8 of your Brand Lane Workbook and answer the questions. Using the information from the exercise above, answer the questions as best you can. The goal here is to discover whether you're on the right track with your business brand.